Vehicle tax (PKB) realization within January to November 11, 2017 reaches Rp 1,125,164,641,311. This is only 89.73 percent from total target Rp 1.254 trillion for this year's target.
" Current point for PKB revenue is 89.73 percent. We target to reach 99.97 percent by the end of this year"
"Current point for PKB revenue is 89.73 percent. We target to reach 99.97 percent by the end of this year," said Robert L. Tobing , Head of North Jakarta PKB and BBNKB Unit, Tuesday (11/21). According to him, his side will conduct door-to-door socialization to taxpayers and joint control on the road thus revenue could be increased. "Besides, administration sanction deletion program for taxpayers will be held until December. This program is ensured will increase tax revenue thus could reach the target," he informed. 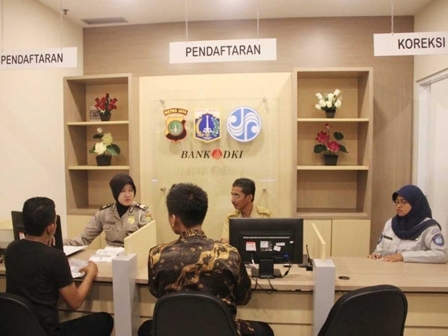 Meanwhile, vehicle-ownership transfer fees (BBNKB) revenue only reaches 88.83 percent or Rp 825,787,469,400 from total target Rp 929.664 billion this year.